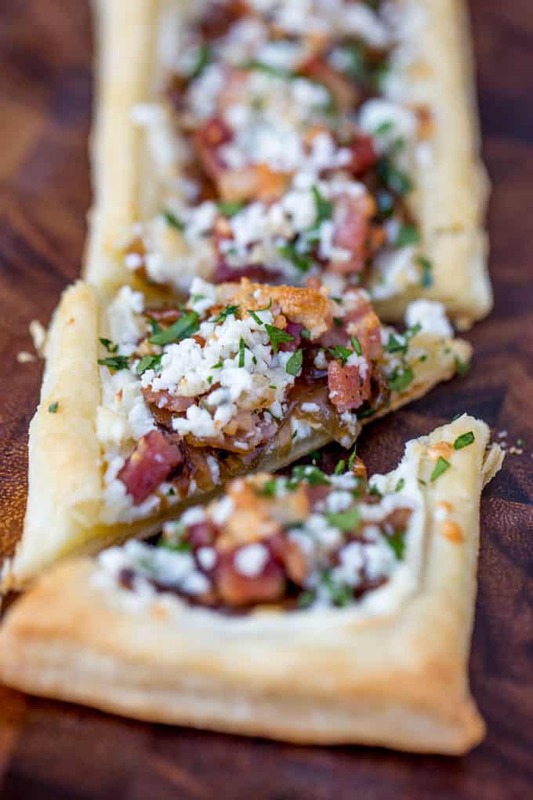 Just keep saying Bacon Blue Cheese Caramelized Onion Tart to yourself and 1o minutes! 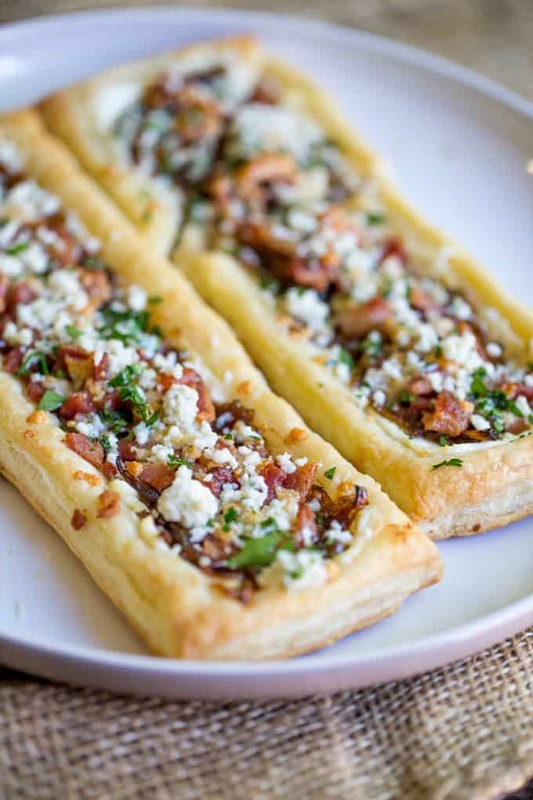 This tart is gorgeous, delicious and easy to make in just a few minutes. There isn’t a single weak link in this recipe either. 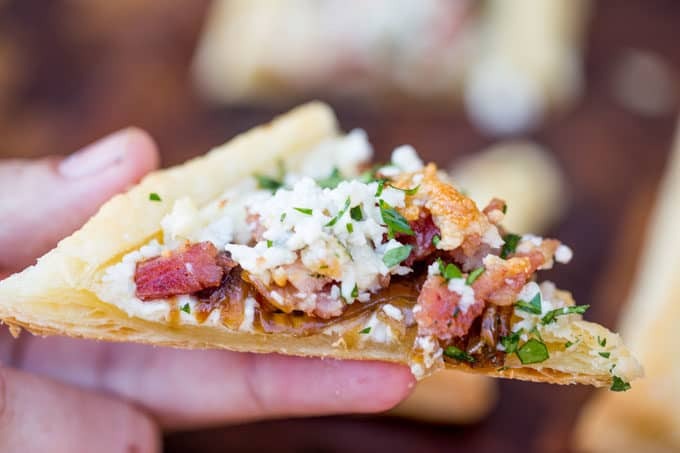 One of my favorite things about the Simply Artisan Reserve™ Simple Seasons™ Blue Cheese Shaker (or the Feta flavor they also make) is the ease with which you can use it! I shook some on our Roasted Brussels Sprouts and roasted sweet potatoes with cranberries too over Thanksgiving. The jar is also pretty nice because it’s glass and the top has a shaker have and a pourable half so you can decide how much you’d like to add at once. 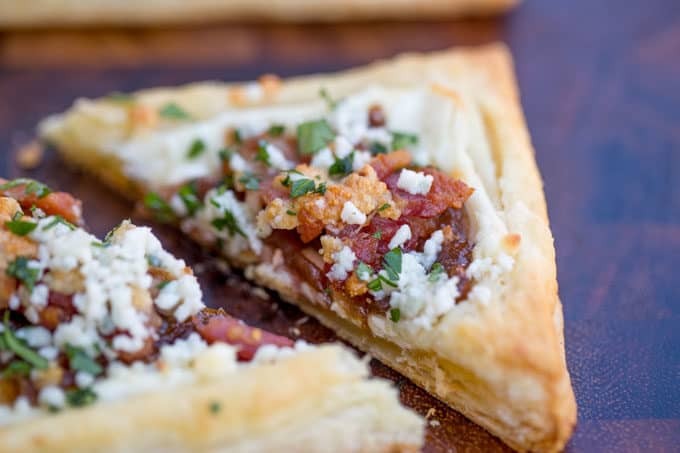 The best part of this Bacon Blue Cheese Caramelized Onion Tart is when I used to make these for client events (in all different flavors) I would make a giant batch ahead of time and freeze the rectangles. Then at the event I could line up the rectangles on a bunch of cookie sheets and bake them off so I could get a quick passed appetizer out within minutes. This is one of the few recipes I think actually benefits from being frozen. 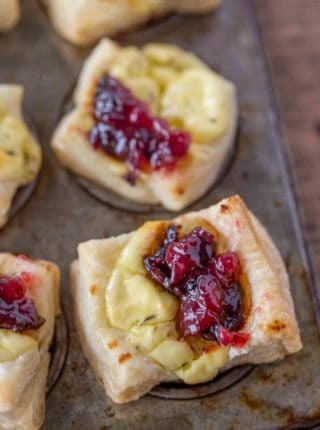 With no sensitive to frost ingredients and puff pastry being in its best form frozen thanks to the butter being colder, this is a perfect make ahead appetizer. 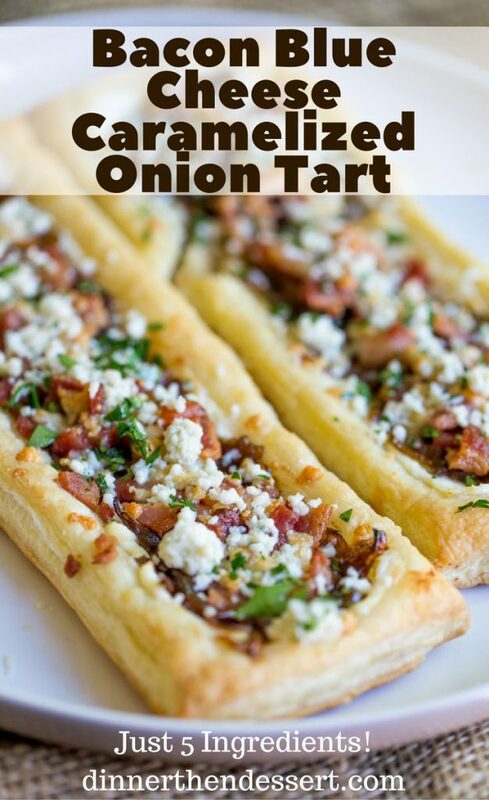 If you are going to freeze the Bacon Blue Cheese Caramelized Onion Tart just stop after assembly and before baking and freeze completely on a baking sheet. 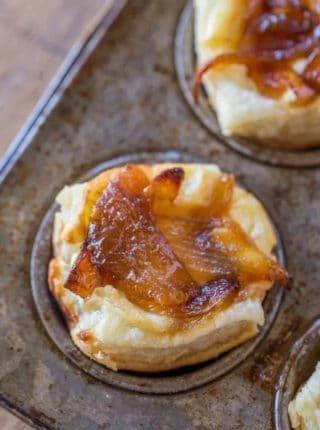 Then you can stack them with layers of parchment paper in between so they don’t stick and you don’t get blue cheese on the bottoms of the pieces on top. This is a sponsored post written by me on behalf of Litehouse, Inc. and Simply Artisan Reserve. I’m not familiar with “Blue Cheese Simple Seasons” (a powder?). It sounds like FAKE Blue Cheese to me! This recipe sounds pretty good, despite the fake Blue Cheese which is being used in this recipe. I’ll substitute REAL Blue Cheese for the “Simple Seasons” fake stuff. I’m sure that it will taste a whole lot better with REAL Blue Cheese. 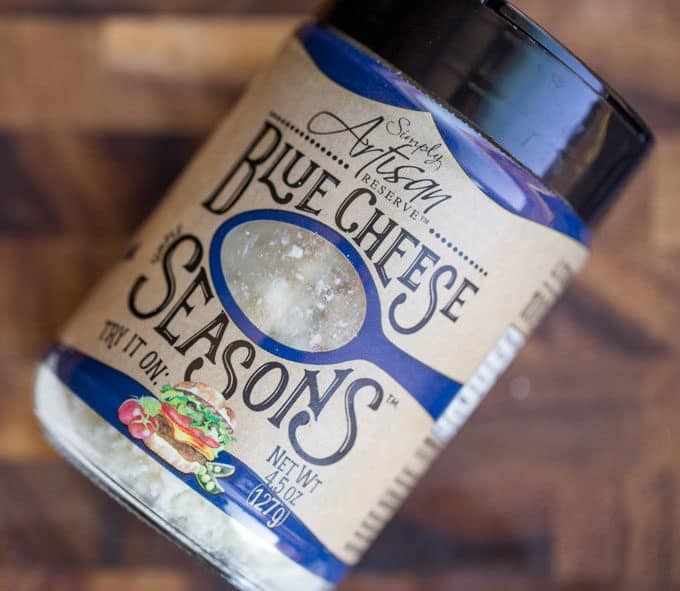 Blue Cheese Simple Seasons is real blue cheese but just crumbled and in a shaker container for easier use. It’s more for a convenience factor. I hope you enjoy the tarts. Sounds and looks amazing! Just a question on the instructions… specifically #5 and #6. The blue cheese crumbles in #6 isn’t mentioned in the ingredient list, nor the amount to use. Is it the same 1/4 c. Blue Cheese Simple Seasons in #5? Also if ,previously frozen on parchment paper could it be kept on the parchment and placed on the baking sheet rather than transferred to the silicone mat? Finally, could a premium quality Blue Cheese be added to the Cream Cheese to boost the flavor? I have friends and family who are crazy for blue cheese! I love the idea of the caramelized then cool Blues! So sorry about the confusion! The blue cheese crumbles I used in this recipe are Blue Cheese Simple Seasons. You can definitely add in whatever Blue cheese you prefer I just wanted to show the ease with this product. Hopefully this clears it up! 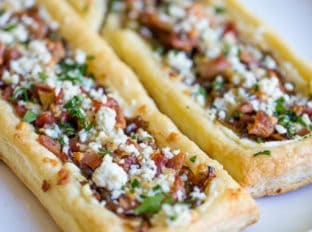 Where can I get the Blue Cheese Seasons in Houston? Or what are the ingredients? Can’t seem to find the product. Thank you! 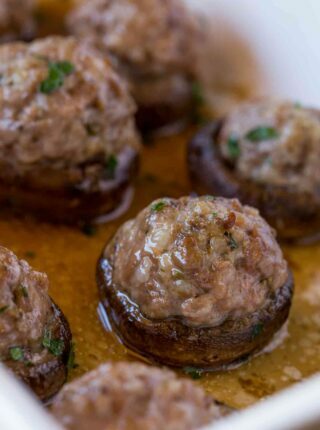 Can’t wait to make this recipe! This looks amazing ! If I pre make it and put it in the freezer, should I thaw it the day of the party? or change the cooking time if cooking from frozen? You can either thaw it out or just bake an additional 3-4 minutes. Enjoy! Best appetizer ever! So delicious! Thanks for the 5 star rating, Dorothy! Looks great! 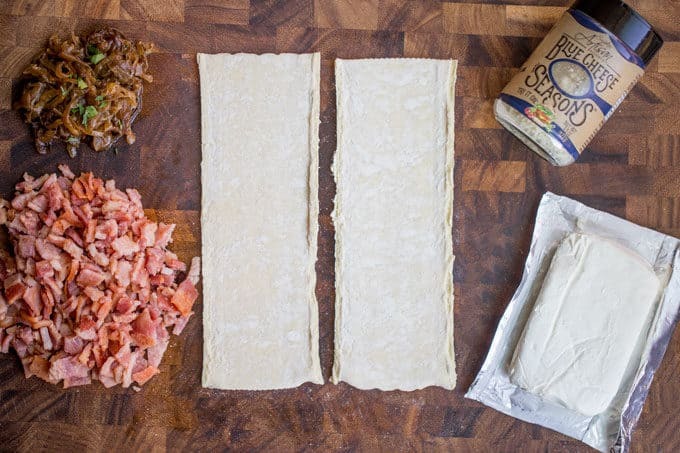 Do you assemble this with the puff pastry still frozen? And do you put it in the oven straight from the freezer, or does it need to thaw? Thanks! 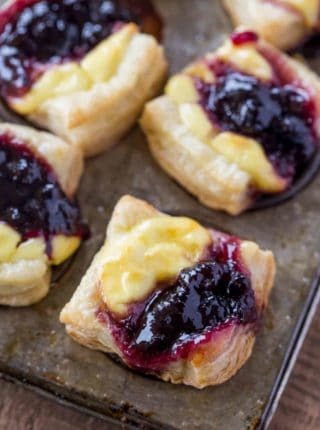 It’s easier to assemble when the puff pastry is still a bit frozen (especially when spreading the cream cheese), then it goes straight into the oven. This sounds so delicious. Love your combination of flavors! This looks like an amazing tart. I can just imagine how wonderful this would taste. This would be great for when my husband travels for work and I want something easy! I’ll let you in on a secret – I didn’t even let my husband know I made these until after they were gone! They’re that delicious! I LOVE those blue cheese crumbles! Sabrina, you managed to put all of my favorite things in one bite. 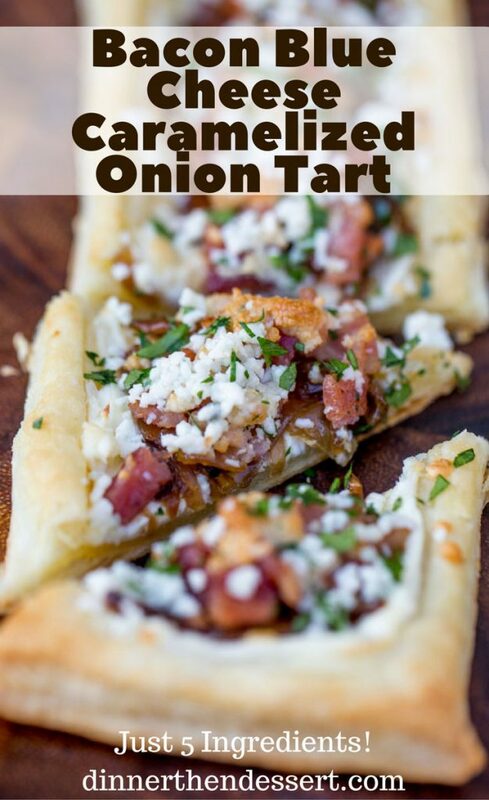 This tart and that seasoning sound and look incredible! I need to make this STAT! 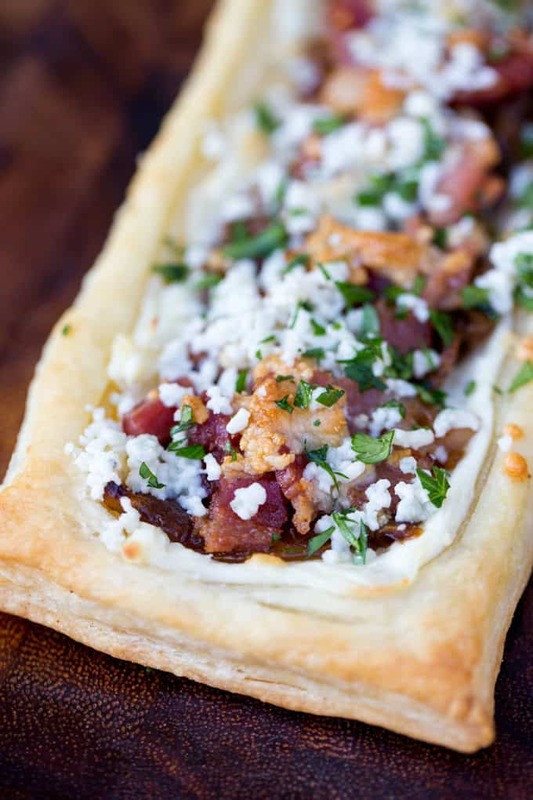 I love every single ingredient on this tart…I’m going to crave it until I can make one for myself.